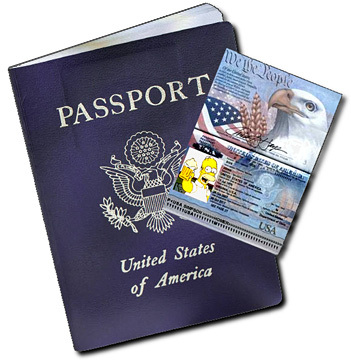 Passport card, an alternative for the passport, is an initiative by taken by the US government to meet documentary requirements of the Western Hemisphere Travel Initiative. Previously, it was also known as People Access Security Service Card, or PASS Card. It is a wallet –sized identification card that proves US citizenship, valid for land and sea travel to and from Mexico, Canada, Bermuda and the Caribbean. This is, however, not valid for airline traveling. It acts as a valid proof of citizenship and identity for both inside and outside the United States. Firstly, understand whether you need a Passport or Passport Card tomeet your traveling requirements. Compare the cost of passport verses Passport Card. Current fees for a new passport is: Adult- $100 and Children under 16- $85; whereas, fees for Passport Card are: Adult- $45 and Children- $35. Renewal fees are: Passport- $75 and Passport Card- $20. Though Passport Card is cheaper, for all International travelling and air travels you need a passport. Provide documents and information regarding proof of US citizenship, as birth certificate or naturalisation certificates, two 2x2 inches passport photos with the mandatory application and execution fees. If you have a passport, you can submit it to apply for a Passport Card, and vice versa. Complete the application form (DS-11) but don’t sign it till you are in front of a passport agent. Applications can be submitted at any 9,300 Passport Application Acceptance Facilities, in person. Your Passport Card will arrive by mail within four weeks. However, with extra fees of $20, you can avail expedited service within two weeks.